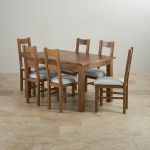 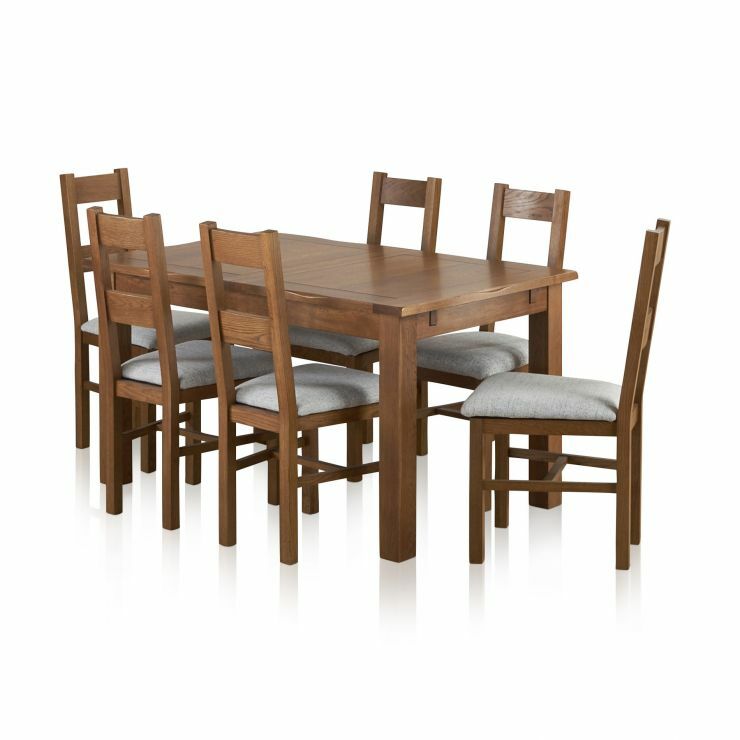 The Rushmere Rustic Solid Oak Extending 4ft 3” x 3ft Dining Set is perfect for everyday family meals to extravagant dinner parties with friends. 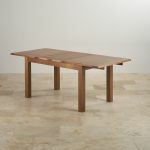 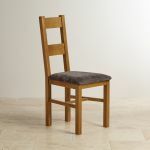 Made from premium grade solid oak, it features a rustic cottage inspired design with softly rounded edges and a warm, medium brown wax finish. 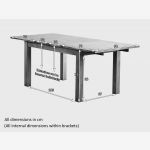 The simple extending mechanism is quick and easy to operate, giving you more than 2ft of extra table space. 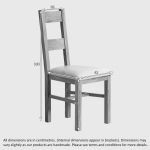 Accompanying the table are six Rustic Oak dining chairs - each crafted from the same high quality cuts of oak and upholstered in grey fabric. 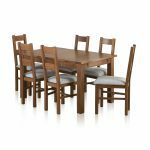 Both the table and chairs are available to buy separately, but by buying them as a dining set you will make even greater savings! 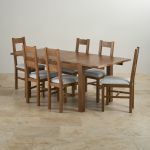 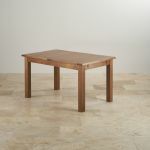 Browse the rest of the Rustic Oak collection for more fully-matching items of quality oak furniture.